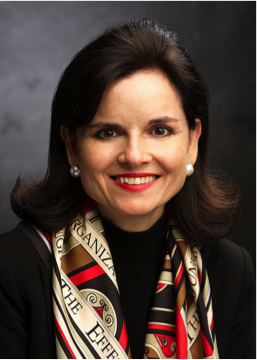 Clotilde Perez-Bode Dedecker is President & CEO of the Community Foundation for Greater Buffalo, an organization dedicated to connecting people, ideas and resources to improve lives in Western New York. As the chief executive officer at the Community Foundation, Clotilde has led a focused growth and impact strategy. Under her leadership the Community Foundation has facilitated numerous public/private sector collaborations focused on systems change. These efforts have addressed issues such as school readiness, post-secondary attainment, lead-poisoning prevention and environmental stewardship. Most recently, Clotilde oversaw the Community Foundation’s effort to launch the Say Yes to Education initiative and the Greater Buffalo Racial Equity Roundtable. Other service highlights include a White House appointment to the President’s Council on Service and Civic Participation, U.S. Committee co-chair of the United Nations International Year of the Volunteer and president of the Association of Junior Leagues International. Clotilde has served on numerous boards. Current service includes Foundation Center, FSG and the Global Fund for Community Foundations. Clotilde’s work has been recognized by many including the Points of Light Foundation, the Governor’s Award for Service, the President’s Award for Service and Buffalo News Citizen of The Year. She holds a Master’s degree in Education from the State University of New York at Buffalo and is a naturalized U.S. citizen, native of Cuba. She speaks frequently on the role of philanthropy, community impact and nonprofit governance.